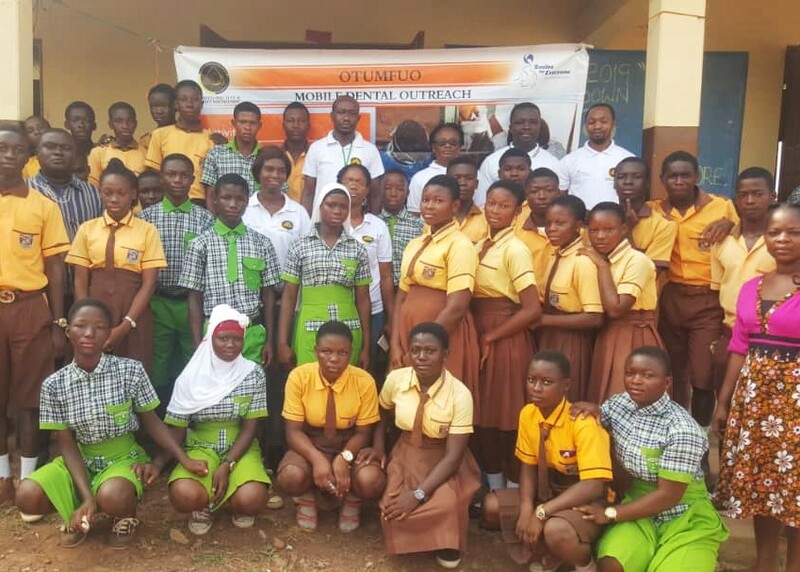 On February 19, 2019, the local Ghana team visited the Bonkrom Cluster of Schools in the Kumasi Ashanti Region of Ghana to pre-screen patients for their winter outreach. 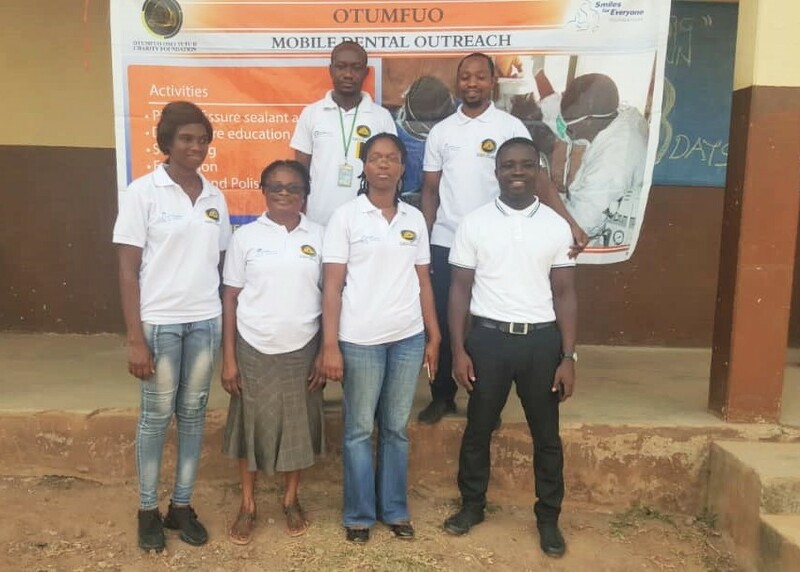 550 students were screened and educated on how to properly maintain their oral hygiene. 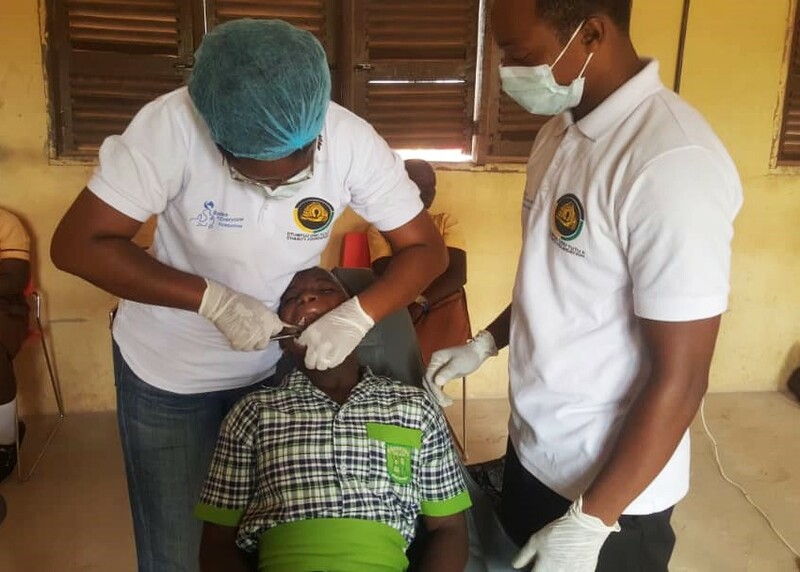 Of the 550 students, 106 of them were identified as needing further dental work. The team set up bright and early on the morning of February 22 to provide care for these students. 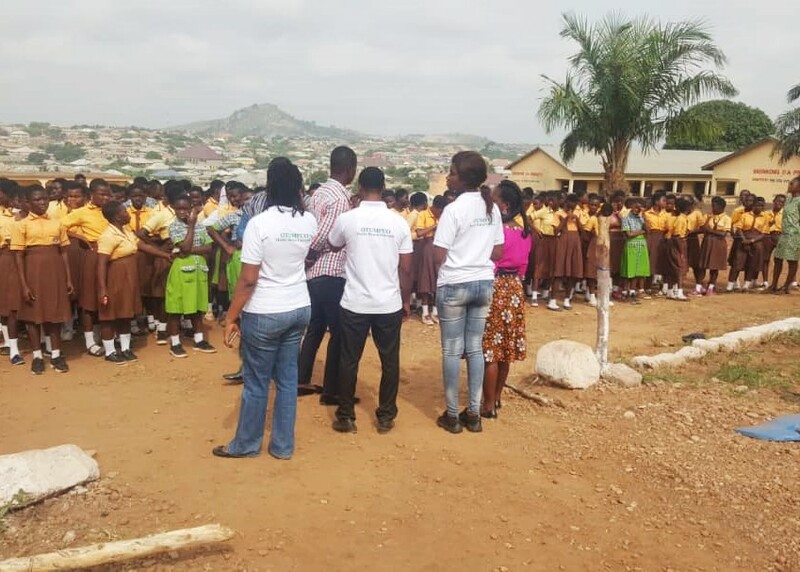 Just half-an-hour into the outreach, there was a power outage at the school, delaying much of the treatment. Extractions continued to be done smoothly, but scalings and polishings typically rely on generators to function. Determined to see all the students who were selected for treatment, the team decided to do the scalings by hand. Although this method is not only tedious, but also much more time consuming, the team was still able to finish up by mid-afternoon. Overall, 73 students received scalings and 33 received extractions. 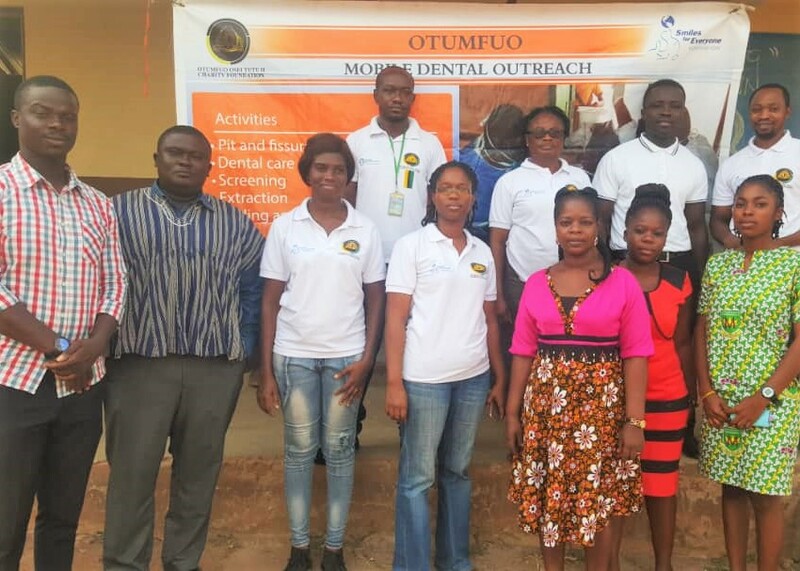 We would like to send a warm thank you to the dentists and support staff of the Otumfuo Charity Foundation for delivering Smiles to their local communities year-round, even through difficult circumstances!